Sisters and Brothers gets a new chef who really knows his chicken, Mollusk tries to fill Travis Kukull's big shoes, and RN74 gets a British chef with quite a sterling resume. Sisters and Brothers’ new chef is Jesse Smith, and the man knows his chicken. He grew up north of Seattle in Arlington, where his family raised them. “I’ve been in love with fried chicken from a very young age,” he says. “You can’t make fried chicken better than my Moms, and neither can I.” But he did create a really, really good smoked fried chicken sandwich while working at Pinky’s Kitchen (which has since, sadly, closed). He also currently keeps chickens at home in Shoreline. He’s worked as a chef at Solo Bar and Bizzarro, and most recently was the pastry chef at Sky City at the Space Needle (meaning more desserts are coming to Sisters and Brothers, too). 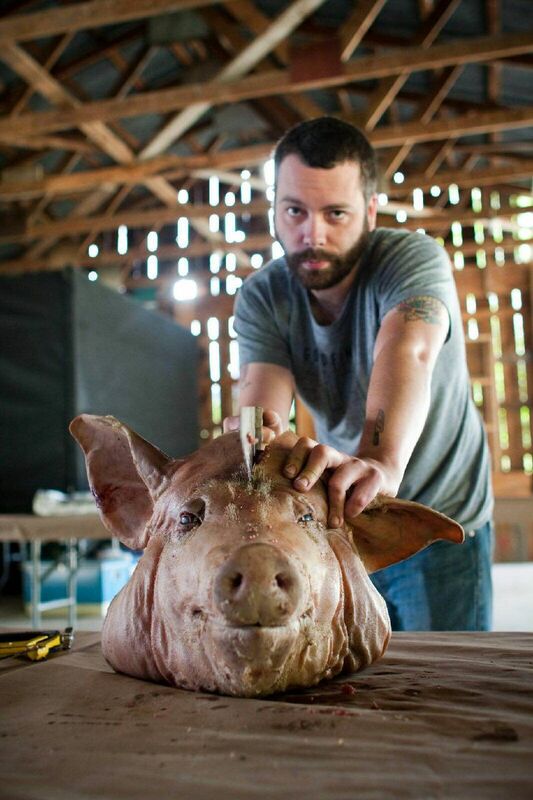 Manny also says Miles James of Dot’s Butcher & Deli is officially joining the Sisters and Brothers team as a consultant. Nice. Dishearteningly, chef Travis Kukull left Mollusk in South Lake Union in June, after just seven months. The neighborhood, he indicated, wasn’t ready for his wide-ranging, expectation-defying food in the context of a brewpub. Mollusk now has a new chef: Seamus Platt. His first cooking job was at the Salish Lodge; he then moved to California, where he was a sous chef at L’Auberge Carmel and executive sous at Ubuntu, a Michelin-starred vegetarian restaurant in Napa. He staged in Europe at Restaurant Vendome and Romantik Hotel Spielweg, then was an interim chef at Doe Bay on Orcas Island. Most recently, he cooked at Girin in Pioneer Square. The new chef at Michael Mina’s RN74 downtown is Ben Godwin. He’s British (his wife is a Seattle native), and his impressive resume includes The Fat Duck, Alinea and Noma. Oddly, before joining RN74, Godwin was the head chef at Meat & Bread in Seattle until January. (After much opening hype, Meat & Bread just closed on Capitol Hill after a little over a year in business. The South Lake Union Meat & Bread remains open.) One imagines a substantial paycheck from the Canadian sandwich chain was involved.